The Ultra Trail Serra de Tramuntana started last night at 24h00 at the Pont Romà in Pollença, a Mallorcan extreme sport version of the Iron Man. 202 participants were at the start last night, amongst them eleven females. The aim is to get to Sant Elm before 24h00 tonight, i. e. within 24 hours. 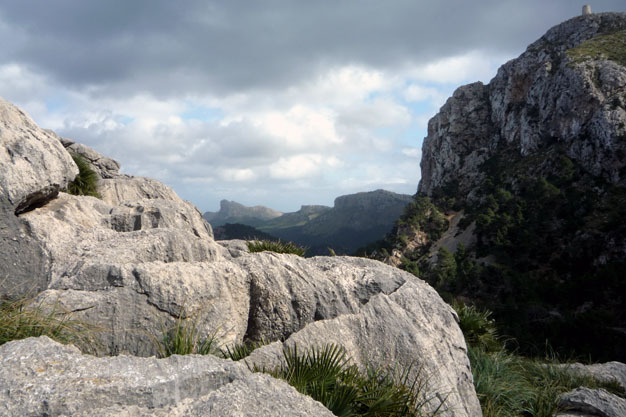 The run/race/trail is across the Tramuntana mountains per pedes, i. e. walking, running, jogging, climbing, whatever it takes. The distance is over 103.5 km. 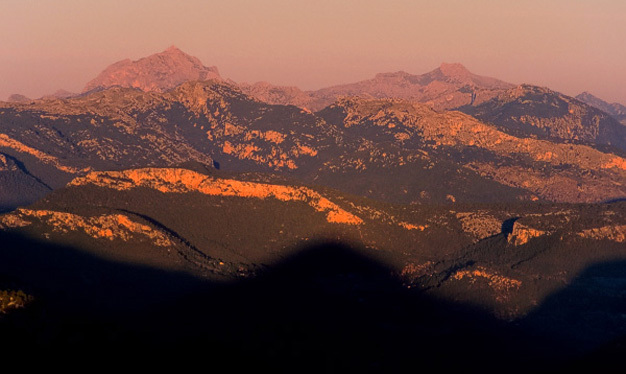 The endurance trail leads from Pollença via Binifaldó, Lluc, Coll de Prat de Massanella, Font des Prat, Font des Noguer, Coll de L’Ofre, Biniaraix, Sóller, Deià, Camí de s’Arxiduc, Coll de Son Gallard, Valldemossa, Port des Canonge, Banyalbufar, Es Rafal, Camí des Correu, Estellencs, Sa Coma d’en Vidal, Coll des Quer, Ses Alquerioles, Coll de sa Gramola, Mirador Punta Fabioler, La Trapa to Sant Elm, in the main following the route of the Pedra en Sec and the GR-221. A similar race was done last year in the opposite direction, with about 55 participants and no females. Only 31 of the participants completed then; the rest had to give up the tricky task somewhere along the trail. For participants inclined to a lesser degree of extremes, a shorter version Petit Trail will start at 08h00 this morning from Deià along the same route and finish in Andratx with a total of 52.5 km, to be done in less than 15 hours. A total of 107 participants have registered to do this shorter extreme trail, amongst them 14 females. The photo (top) was chosen from my archive. It was taken near Pollença, Mallorca, Baleares, Spain. The date: February 14th, 2009. The time was 13:52:58. The photo (bottom) was taken from the Internet. Thanks are due to ropits.com and the photographer, Marcos Molina.